COSME TOKYO – 6 th Int’l Cosmetics Trade Fair 2018 Visit & Source the World’s Highest Quality! COSME TOKYO 2018 returns in January 24 (Wed) – 26 (Fri) (Makuhari Messe, Japan) gathering 780*2 exhibitors and 30,000*2 visitors from worldwide. COSME TOKYO is Japan’s largest cosmetics trade show launched in 2012 and has been growing as a must-attend show for everyone in cosmetics industry. By welcoming 2 new concurrent shows, INNER BEAUTY TOKYO 2018 and 1st Health & Beauty Goods Expo Tokyo [January], COSME TOKYO 2018 will be much larger and more international where all aspects of beauty industry gather at once. 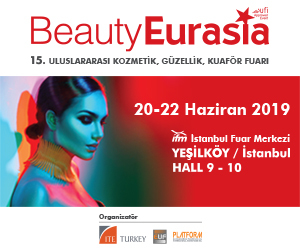 This will be the most attractive venue for those who are looking for beauty products from Japan & Asia. Why not visit and source beauty products for your new lineups at COSME TOKYO 2018? The most attractive feature of the show is Japanese cosmetics. COSME TOKYO 2018 gathers a remarkable lineup of Japanese cosmetics. Most Japanese cosmetics to be exhibited at COSME TOKYO 2018 cannot be found at any other exhibitions in the world. Generally, Japanese cosmetics are popular worldwide for high quality, reliability, cost performance, etc. However, there are much more products which are yet to be known outside Japan, especially products made by small-and-medium sized manufacturers. As the number of exhibitors including those companies will increase from the last edition, COSME TOKYO 2018 is the must-visit exhibition for international visitors looking for high quality Japanese cosmetics. Don’t miss the best sourcing venue of beauty products from Japan & Asia! COSME TOKYO 2018 will be held with 2 new concurrent shows. Newly launching INNER BEAUTY TOKYO 2018 is focused on beauty & health foods, and 1st Health & Beauty Goods Expo Tokyo [January] will gather beauty care goods. Based on the foundation that COSME TOKYO and COSME Tech have been attracting whole cosmetics industry, those 4 shows will cover not only cosmetics but whole beauty industry in 2018 show which will attract wider range of visitors.